NaClhv: The universe is an MMO, and God is the game designer. God has been compared to many things. The Bible itself calls him an Author. He has also been called the Great Bridge Builder, and the Great Architect of the Universe. In an effort to express God's supreme artistry and power as the Creator, we humans have always compared him to the maker of whatever was the most impressive among our achievements. These titles - author, builder, architect - are from a time when the greatest of human works were things like literature, bridges, or buildings. While these titles are still useful in informing us about God, I believe it's time for an update - not because God has changed, but because he's granted us a grander vision of himself by allowing us to achieve greater things. As I mentioned before, I've played a lot of video games. Large video games are among of the most complicated, most expensive things that humans have built. "World of Warcraft" is a multi-billion dollar edifice that a typical person can actually experience very thoroughly. In comparison, the Apollo moon landings each cost around $20 billion, and the Empire State Building cost $0.5 billion, but a typical person doesn't get to ride the rockets to the moon, or work in every floor of the Empire State Building. So, taking their broad accessibility into account, games like "World of Warcraft" are among the most impressive things that humans have built to date. In light of this, I would like to update and add to the above descriptions for God: the universe is a massively multiplayer online game (MMO), and God is the Great Game Designer. The universe is actually designed by and for one person, and one person only: Jesus Christ, who is God himself. It's his game. He designed it to play it himself. Every parameter, every feature of the universe is designed solely for Christ's sake. Because Jesus made the universe to play it himself, it's an excellent, perfectly crafted game: it's made with incredible elegance, efficiency, and simplicity in its fundamental rules which are completely free of bugs or exceptions, yet the final result is rich and complex and intricate, and allows for a great deal of player expression. A simple game like "Pong" doesn't allow the player much control or expression. "World of Warcraft" and other such MMO's do better: you can tell something about a person by how they play these games. But the universe, with its incredible richness and depth, allows its players limitless expression - to the point that even God could play it and express himself perfectly in it. Thus his in-game avatar could truly be said to be the exact representation of his being. Of course, an MMO is not meant to be played by a single person. You need other players. That's what we are - other player characters who are inhabiting this MMO, which was built solely for Jesus. Because the universe was made first for God, and then populated by us as other player characters, we are said to be made in God's image - and indeed we are. Our in-game avatars are made to be like God's avatar - Jesus. We are fully human just as Jesus is fully human. Although we are merely other players and not the designers, we are like God in that God did not give himself an intrinsically more powerful avatar than anyone else. God did not "cheat" in that way. This is why it's said that we will be made like Christ. Anything that Jesus did in-game, we could also do. In fact, Jesus said that we will do even greater things than him. This is all possible because we are like him: both fully human, both just player characters in the game. 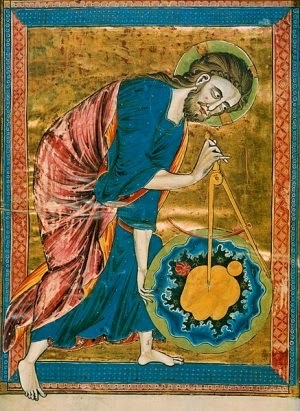 Any advantage that Jesus seemed to have in-universe is due to him being the designer. He knows all the systems, mechanics, breakpoints, and secrets of the game. So he played the game perfectly. This is theoretically possible for us to do also, which is why Jesus serves as the perfect example for us. Of course, God wanted to play the game with real people. We couldn't be real player characters if we didn't have an independent existence outside of the game universe. We are not NPCs or bots. We are spirits, like God is a spirit. And here, we begin to glimpse God's true purpose in designing and making this game; we understand better what it means to be made in God's image. We are truly players - a real person outside the game, with an in-game avatar - just like Jesus is. After all, for all its depth and beauty, at the end of the Day the universe is just a game. But the relationships formed in-game between the players are real, and persist outside the MMO. So it would be incorrect to say that we were given souls just so that we wouldn't be bots or NPC's, to enhance Jesus' play experience. Nor would it be correct to say that because the universe was made only for Jesus's sake, we are insignificant. Yes, the universe was made solely for the sake of Christ, so he could play this MMO that provides him an infinitely expressive medium. But what is it that he wanted to express in the first place? How did Jesus play this game? Did he play to get all the loot for himself and top all the scoreboards? Although the universe was made only to bring joy and glory to Jesus, what brought him that joy and glory was to express God's love towards us, his fellow players. That love is what creates us in God's image and gives us worth. Through his actions in-universe, Jesus brought us into a relationship with God as a members of one family - a real relationship that will endure forever outside the game, even after the game is over. Meanwhile, we get to play this awesome game that was made for Jesus himself. Now, there are many people who disagree that this game is awesome; many complain about the game. This is only a testimony to its perfection. How many people complained about "World of Warcraft", compared to "Pong"? People complain about "World of Warcraft" precisely because it's a better game than "Pong" - because it engages and expresses more of the player. The universe has more complainers still. So, people complain that the challenges are too difficult, that the art design is terrible, that player death is punished too harshly, that other players need to be nerfed, that the noobs cry too much, that the game is boring, that the designers are stupid, that if only they got this one buff everything would be balanced, etc. Go on the forums to any good, popular game, and you'll see an endless stream of such complaints. So how can we get past all these complaints and experience the awesomeness of this game for ourselves? How, then, shall we play? It's no good to stare at the start menu and then complain that the game is boring, or to fail a challenge then complain that the designer should have hacked his own game to save you. These are wrong ways to play, and they result in much grumbling and confusion. But if you play the game the way it was meant to be played, you'll see that everything makes sense, everything falls into place, and that it truly is an awesome game. This right way to play is exemplified by the life of Jesus Christ. Play like Jesus played: to express God's love back towards God, and to your fellow players. This is what the universe was designed for. After all, it was designed by and for Jesus. How the world is like an MMO? Why not compare the world with the Matrix in which humans are deeply involved? Through their dissimilarity we shall see the glory of God. Shall we play it like an MMO or realize its essence and "play" it more seriously than ever? Well, I chose this analogy because many people have had the experience of playing an MMO, whereas nobody has personally had the experience of being plugged into the Matrix. I'm not advocating living life frivolously, of course. Players of games understand that they are often Serious Business. The better a game is, the more seriously it's to be played. The universe, then, should be "played" as seriously as possible. So God made a game for his kid to play while he got some work done? Haha - rather, God's work, and the work of his Son, IS to make and play this game. Think of the greatest painting of a renowned artist, or the greatest game of a star athlete - the work that encompasses all the skill, passion, and dedication of that artist or athlete. The universe, and Christ's work on it, is like that.